Why is the human race completely mesmerized with this shiny yellow stuff we call gold. The first thing that comes to my mind is how close the word gold is to god. And yes many people worship gold just as much as god if not more so. As far back as human history takes us we have always been in pursuit of gold, wars are fought , people are murdered , lives are destroyed, all in the name of a shiny, yellow metal. 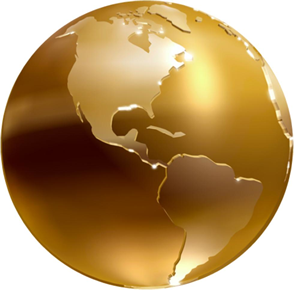 As we expand our understanding of who and more importantly what we are, we are beginning to see the reasons why gold is such an integral part of our reality here. One of the first really interesting things I came across during my initial wake up call , was the story of the Annunaki , and how they came to our planet to mine gold. Supposedly they needed the characteristics of gold as a reflector of sunlight. They would somehow vaporize the gold into a dust and spread it into their atmosphere and it would greatly reduce the amount of solar radiation their planet would receive. This planet of course was Niburu, and one of the first researchers who made this concept known to us is Zecharia Sitchin. When you start looking at the characteristics of gold as one of the best conductors of electricity, as a an incredible insulator of solar radiation it starts to make sense why these advanced beings would want large quantities. For me and many others on the planet , its pretty much a no brainier, think about it , advanced beings basically created the human race as a sort of slave race, and to a certain extent we are still enslaved becasue we have remained a sleep. But that is all changing now as we awaken, and all as it should be, nothing demonic here, nothing evil , those are polarized concepts, we are simply becoming aware of who we are and where we came from , from a purely physical perspective. This is the story of the humans on planet earth and the journey we have been on , as we grow in awareness , we should be taking this all in with fascination and excitement. Yes truth is exponentially more interesting than the fiction we have been taught, and most of us no longer believe in Santa Clause or the tooth fairy or that human civilization only goes back a few thousand years, its all nonsense. It game over , hell you can watch it all on main stream TV, its called the History Channel, gotta love it, this is in a sense Disclosure, as Steven Greer would agree. No its not Alien ships hovering over the cities , that’s not going to work , they are doing the most logical thing they can, slowly teaching us , prodding us , so that we re-remember who we are , where we came form and where we are going. Its the Apocalypse and its a wonderful thing ! The big Sleep is over. Wake Up !